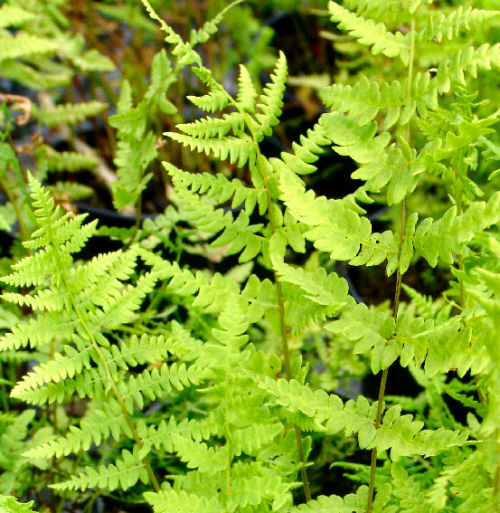 A graceful fern with long, light green to light blue coloured fronds. It thrives in wet soil, in perfect conditions the fronds can reach 150cm! In drier soils they tend to be much smaller. They spread by underground rhizomes and make an effective ground cover in wet soils. They are much less likely to spread in drier soils.